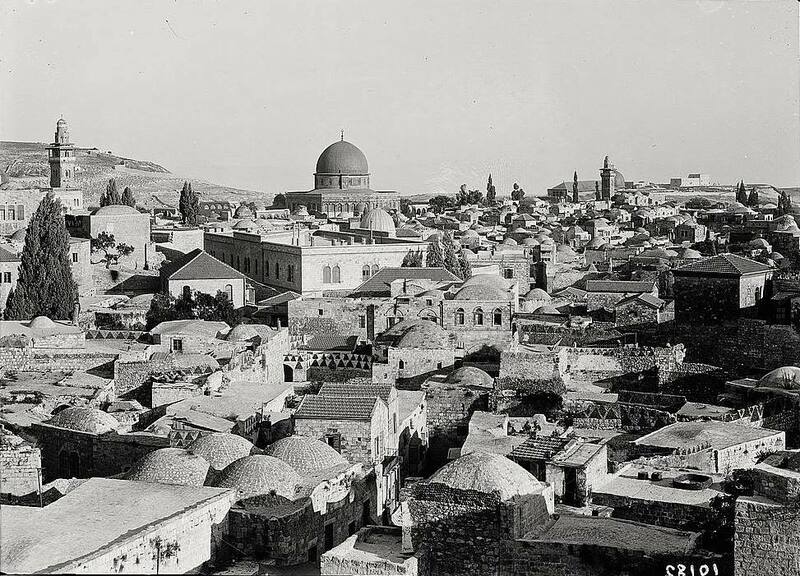 View of the Old City taken from the ramparts of Damascus Gate, Jerusalem, 1920’s. I’ve tagged some of the landmarks. — with Alzawiya Alnakshabndieh Mosque, Scales of Souls arched columns, Austrian Hospice, Dome of the Rock, Armenian Catholic Church, Entry road from Damscus Gate and Al-Aqsa Mosque.